The first flowers of Aquilegia canadensis (Eastern red columbine) began opening 12 days ago, March 26, 2017, during the big mulch weekend. Now they are nodding gracefully throughout several of the borders. 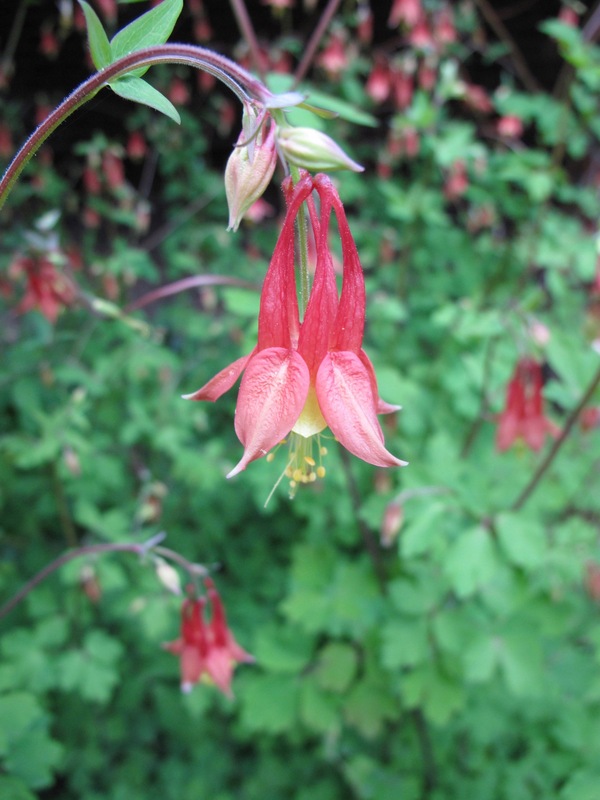 This entry was posted in garden and tagged Aquilegia canadensis (Eastern red columbine), wordless wednesday on April 5, 2017 by pbmgarden. It is tricky here for it to come back or not cross breed so I love seeing it wherever it comes up….I am well but my shoulder is still slow to heal so little blogging going on and virtually no writing….and slow small steps with gardening….right now it is seed starting inside and out….can’t wait to see the first seeds germinating outside! Good healing wishes sent your way Donna! Such pretty flowers and foliage! Looks like another day of scary weather for us both…I’m already hearing thunder. Probably roars from giddy bball fans. 😀 Stay safe. Cathy, it’s too bad they don’t do well in your area. They’re fairly rampant here and migrate all around the borders, but I give them free reign and pull them out occasionally. How lovely to have them bloom en masse like that! Aquilegia isn’t a reliable bloomer here, although I’ve some hope of getting flowers from the one plant that made it through our 5 years of drought. I have just purchased a packet of seeds of these. I look forward to them flowering next year. Lovely! Mine haven’t emerged yet, but when they start they sure grow fast. One of my favorite native wildflowers. Great photos! How wonderful to have them in several places in the garden! Such a pretty columbine. Must try it. So pretty. I shall have to follow Brian’s lead and find some seeds. One of my absolute favorite spring flowers. 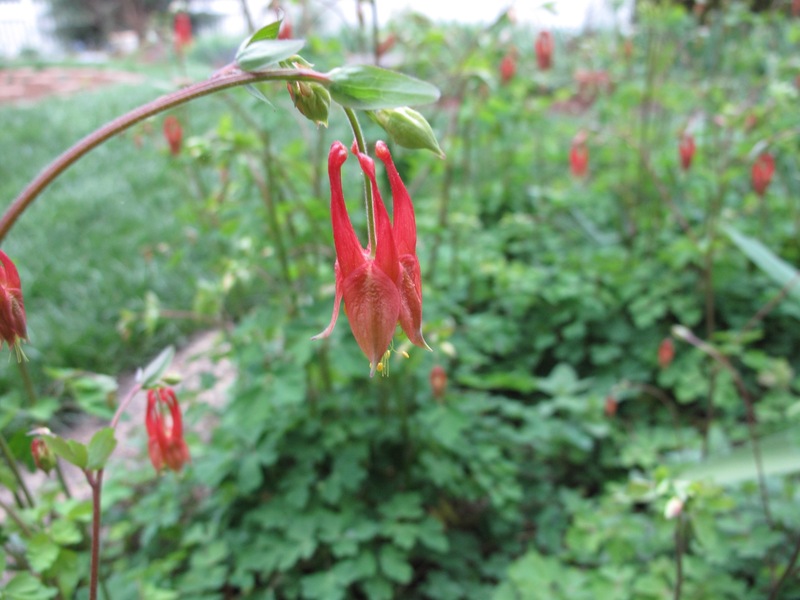 I much prefer the native A. canadensis to the European columbines.